How much do you know about Tchaikovsky, one of the romantic era's greatest composers? From his ballets to his orchestral compositions, our handy facts gallery will shed light on his life, loves and music. 1. When is Tchaikovsky's birthday? Pyotr Ilyich Tchaikovsky was born in Kamsko-Votkinsk in Russia, in 1840. 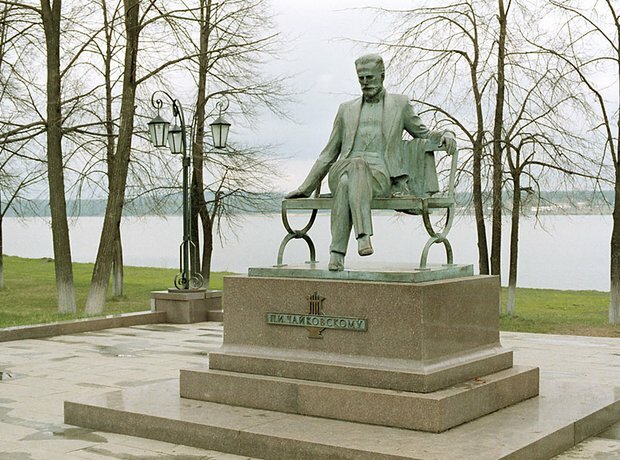 The town is now home to the Tchaikovsky museum and a statue of the composer. Tchaikovsky had four brothers and one sister. Nikolai, Ippolit, twins Anatoly and Modest, and Alexandra were from his father's second marriage, and half-sister Zinaida was from his father's first marriage. Tchaikovsky learnt languages from a young age. Thanks to his governess, he could speak German and French by the age of 6. As a back-up plan, Tchaikovsky trained as a civil servant in case his musical career didn't take off. At the age of 19, he started in the civil service. He became a junior assistant within six months and a senior assistant two months after that, but luckily gave up his civil service career in order to compose! First performed in 1877, Swan Lake was Tchaikovsky’s first ballet score. Considering its success today, it's hard to believe that it wasn’t an immediate hit – but the story of Odette, a princess turned into a swan by an evil sorcerer's curse, was an initial box office failure. 'The Sleeping Beauty', to which Tchaikovsky composed the music in 1889, is the second of the composer's three ballets. Based on Charles Perrault’s tale of 'La belle au bois dormant', it has become one of the famous ballets in classical repertoire. Composed to commemorate the Battle of Borodino, fought in September 1812, Tchaikovsky called his own work “very loud and noisy and completely without artistic merit, obviously written without warmth or love”. However, the overture won him fans the world over and made him a household name. It even took the top spot in the Classic FM Hall of Fame 2018. Tchaikovsky has composed two of the most revered concertos in classical repertoire: his Piano Concerto No. 1 (1874-5) and Violin Concerto in D major (1878). Tchaikovsky was awarded an honorary degree from Cambridge University in 1893. He clearly enjoyed himself there, after having lunch with fellow honorary doctors Saint-Saëns and Bruch, he said: "Cambridge, with its colleges, similar to monasteries, is distinguished by its manners and customs, many of which have been preserved from medieval times. Its buildings, which are reminiscent of the far distant past, made a very favourable impression"
Tchaikovsky was a notoriously difficult man when it came to matters of the heart. After marrying one of his students, Antonina Miliukova, he immediately realised that wedded life was not for him, commenting: "There's no doubt that for some months on end I was a bit insane and only now, when I'm completely recovered, have I learned to relate objectively to everything which I did during my brief insanity." To support his early musical career, Tchaikovsky took work as a music critic. Among the targets of his critical ire were Schumann, who he thought was a poor orchestrator, and Brahms. Tchaikovsky didn't have an easy time of it. He suffered from depression throughout his life, after his mother died in 1854 and his 13-year relationship with Nadezhda von Meck collapsed. 14. How did Tchaikovsky die? There is much speculation surrounding Tchaikovsky's death in 1893. It happened only nine days after he conducted the premiere of his Symphony No. 6 (one of his most impassioned works), but differing sources attribute it to cholera, his drinking and smoking, and there are some who suspect suicide.